Fires in British Columbia and around Washington state have blanketed Prosser, Washington, in thick haze. A summer filled with wildfires means air conditions in the Northwest are going from bad to worse. Fires from British Columbia and around Washington state have contributed to a smoky week. Like a dreamy scene, the Yakima Valley is blanketed in thick haze. But the reality is not so serene. Coupled with high temperatures and humidity, the smog is taking its toll on local residents. On Wednesday people trailed in and out of the pharmacy in Prosser. In less than 20 minutes, two customers came in wearing face masks. 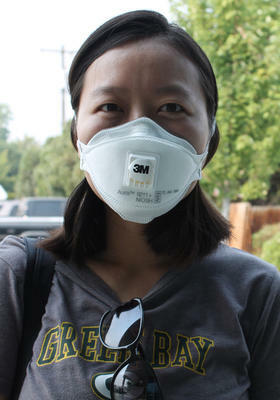 Yun Zhang wore a 3M Aura N95 mask—made specifically to filter air pollutants. She moved here from China where a lot of people buy face masks for air pollution. “I’ve been here since 2009 and this is probably the worst that I’ve ever experienced,” Yun said. She said she buys face masks for herself and her elderly parents. Her dad has been experiencing headaches and her mom has a skin rash she attributes to the poor air quality. Yun also worries about her child. Dr. Nithya Menon from the Yakima Lung and Asthma Center said people from vulnerable populations like children and older adults risk the greatest effects from poor air quality. She said people who smoke or have respiratory issues like emphysema or asthma are at a higher risk as well. Menon recommends that people who are having a hard time breathing stay indoors. If possible, use air conditioning and a HEPA filter. And she said if you have to be exposed to the elements, use a mask. And not just your run-of-the-mill dust mask, but one made to filter particulates. So far local drugstores have been able to handle demand. Pharmacists said they’re selling about the same number of prescription inhalers as usual. But drugstores in Prosser and Toppenish said more people are coming in to buy face masks. 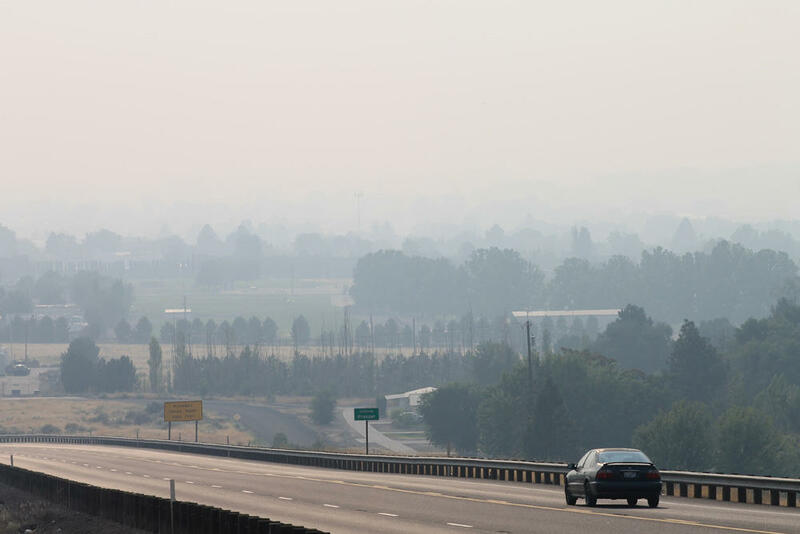 According to Washington’s Air Monitoring Network through the Department of Ecology, the local air quality in Yakima is at 168. That’s considered unhealthy. If you look at their map online, it’s marked by a red dot. Towns like Wenatchee, however, are marked with maroon. And their number is 206. When it’s that high, Ecology said people who have lung or heart disease can get worse—both in the short term and the long term. And people can find they have to go to the hospital. But not everyone is feeling out of breath. Longtime Prosser resident Carl Grimes said it doesn’t affect him much.